Has there ever been a biggest size and reach (dis)advantage like Gastelum/Adesanya on a title fight? Discussion in 'UFC Discussion' started by Seiryoku Zenyo, Apr 11, 2019. Don't think so. A tall, slim MW against a chubby WW. A.S. Deep and whaleshark like this. Calipwnia, Breaking, FlowchartRog and 21 others like this. ScholarDayo, FlowchartRog, EzekielFromMount and 3 others like this. Good one, but I believe this one beats it. Yea, probably a similar height/reach disadvantage for DC. xentreos, alexrooster, Dana's Moonface and 15 others like this. Conor vs Chad for the interim belt? Dana's Moonface, RxmDiaries and Harlekin like this. Iron Monger and Threetrees like this. Remember pat berry and the sky scraper lol ! ThaiSexPills, MMAcolyte and Mebetter like this. Is size & reach were always the determining factor, then DC should be about 0-25 by now. FlowchartRog, ThaiSexPills and Arm Barbarian like this. xentreos, Nightwish, Yagadot and 27 others like this. bjj4everyone, iWas and dissectingaorticaneurysm like this. that one immediately came to my mind, too. then i reread op, and he's looking for greatest size/reach differential in a title fight. DC vs Jones and Sylvia vs Monson. Chubby isn't the issue; it's width. Gastelum is built like a tank. Horrible disadvantage for Israel if he gets taken to the ground. I don't think he has fought anyone with shorter height and reach in the UFC. 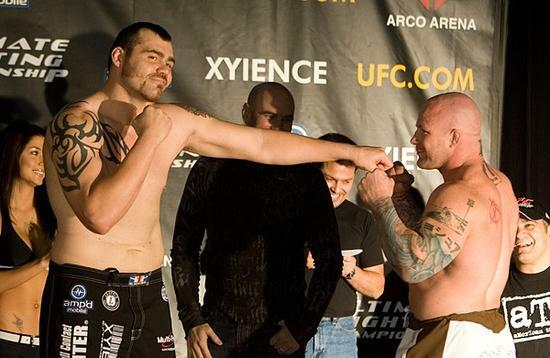 In Strikeforce he did have the size advantage once, against Monson.